According to bizjournal.com and an article that can be found here. Closing on a house in North Carolina is more expensive than nearly every state in the country. A study from Bankrate.com surveyed up to 10 lenders in each state and Washington, D.C., to evaluate closing costs in June 2016. For its comparison point, researchers looked at single-family homes with a $200,000 mortgage and a 20% downpayment. Fees include taxes, title fees, property insurance, interest and other prepaid items. The national average for closing costs is $2,128. North Carolina’s closing costs averaged $2,409, ranking it No. 3 among the most expensive in the nation. Hawaii had the highest closing costs, with an average of $2,655. New York ranked No. 2 with an average of $2,560. 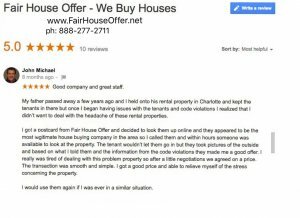 If you want to sell your house fast and avoid paying any closing costs contact Fair House Offer at 888-277-2711 or by visiting www.FairHouseOffer.net. 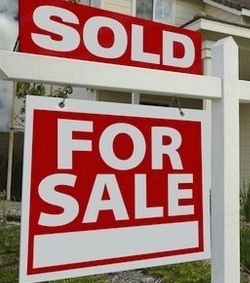 Fair House Offer buyers houses throughout North Carolina including Greensboro, Raleigh and Durham.